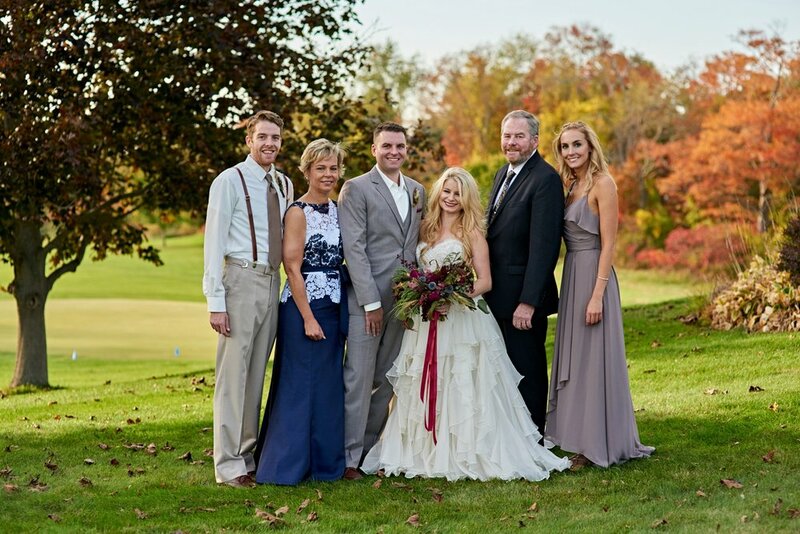 Melissa and Joseph were married on October 21st, with a ceremony and reception at the Portsmouth Country Club in Greenland, New Hampshire. 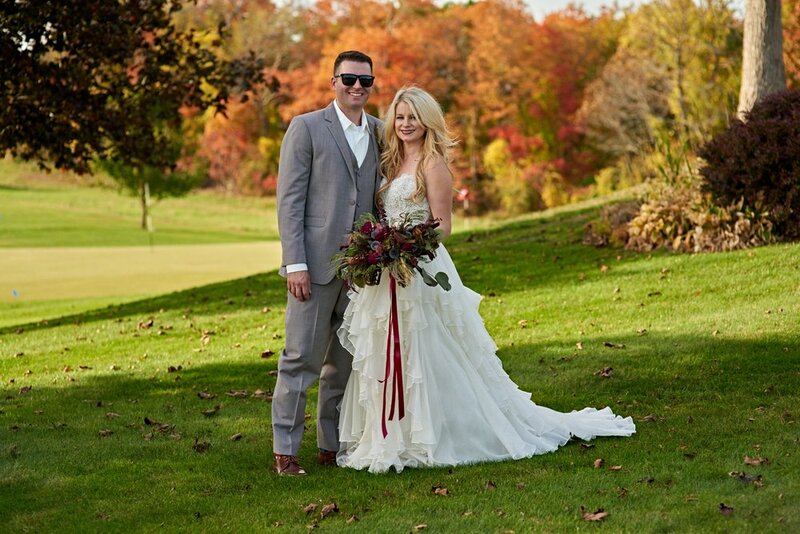 That vibrant October sky stretched out behind Melissa and Joseph as they said their “I do’s” in a stunning outdoor ceremony. During the ceremony, I was struck by how much friends and family meant to these two. 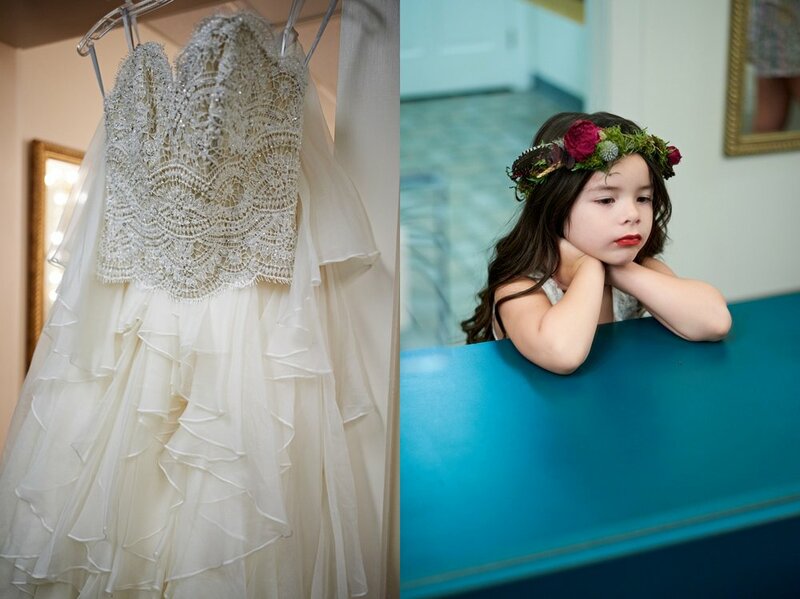 The officiant was a friend of theirs, and Melissa asked her niece to be the flower girl. 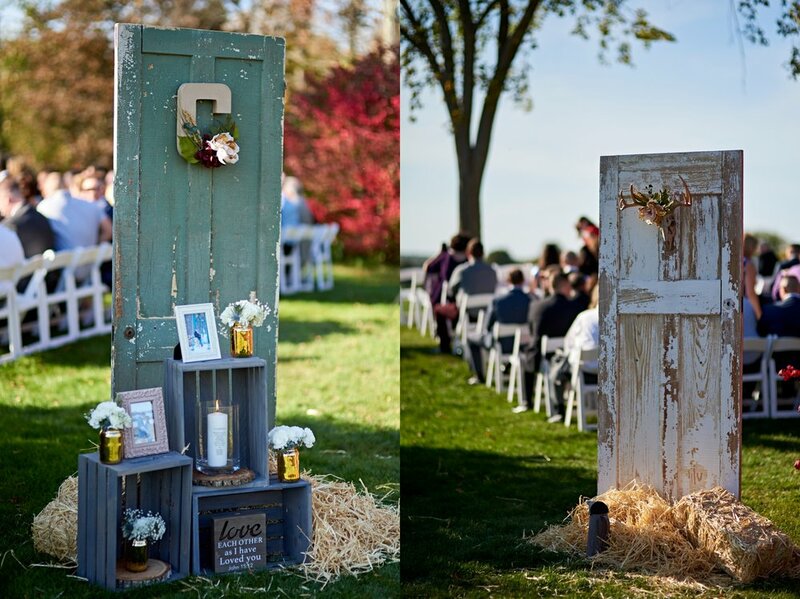 Sure, the two-piece wedding dress and dried-flower arrangement were unique, but it’s the emotional connections that truly matter to a wedding, and these two had that in spades. 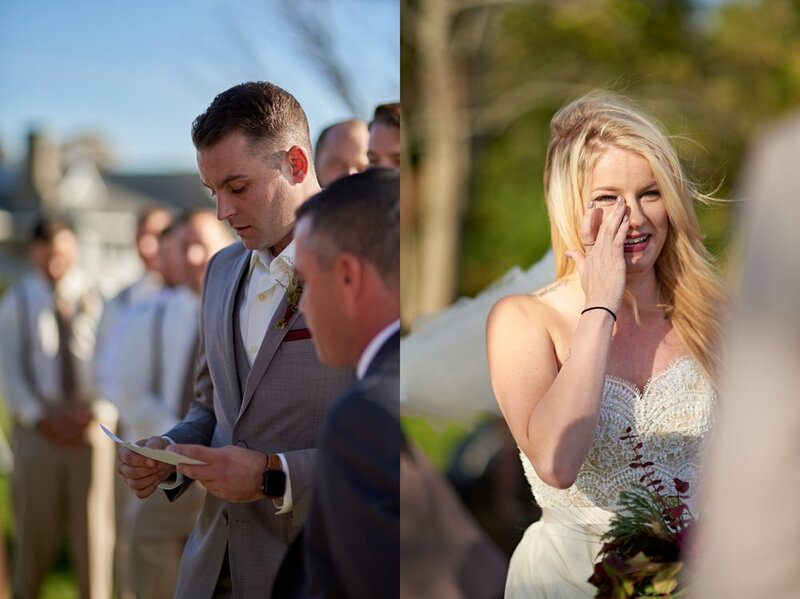 Those emotional connections were obvious in the family and wedding party portraits as well. In each of the images you can see the love and joy shared by all who were a part of this celebration. Melissa and Joseph look so happy as they celebrated with their loved ones. These more formal portraits were fun to capture. Melissa’s bouquet looked spectacular in these portraits as well. 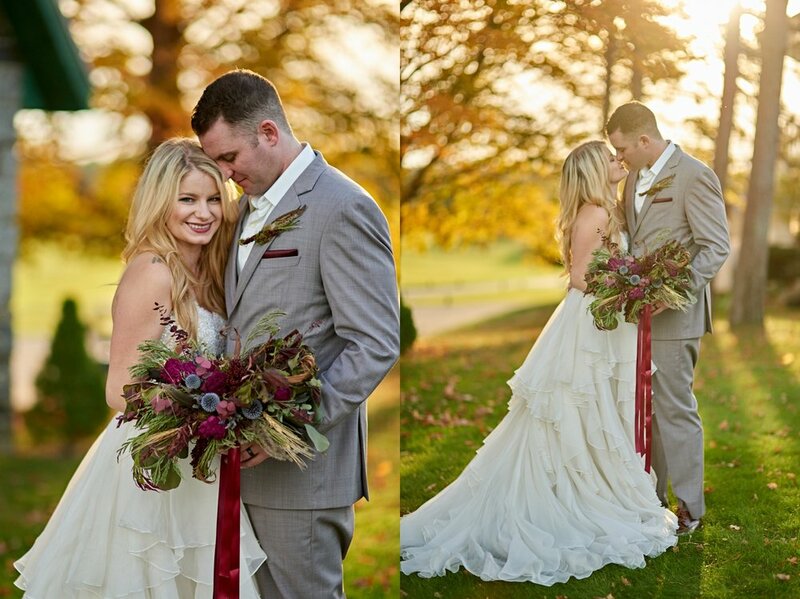 The dried flowers in such rich autumn colors stood out vibrantly against her gorgeous dress. I also loved taking portraits with Melissa and Joseph with the beautiful autumn sun low in the sky, backlit and filtering through the trees. My favorite image from the series was during this time; it’s so romantic and shows off my photographic style well. 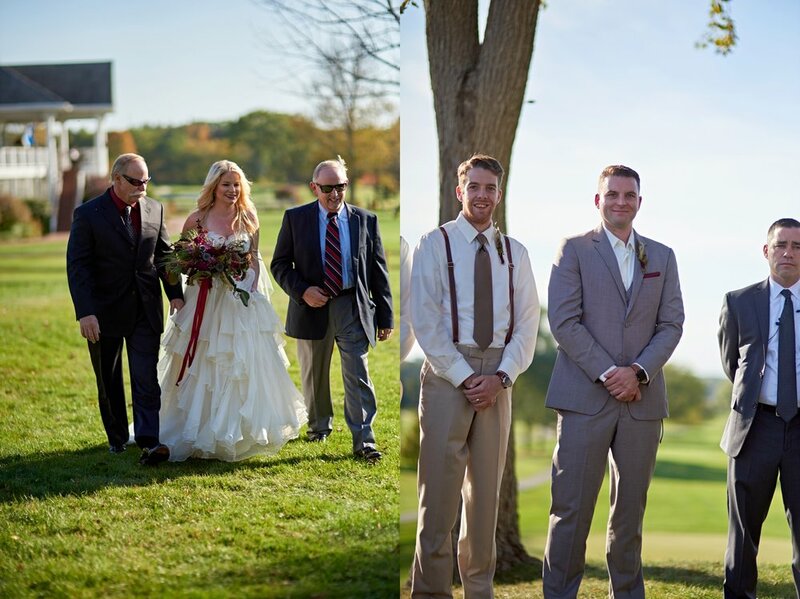 This really highlights the importance of choosing a good venue for your wedding: the backdrops, especially the old groundskeeper’s building, were stunning! 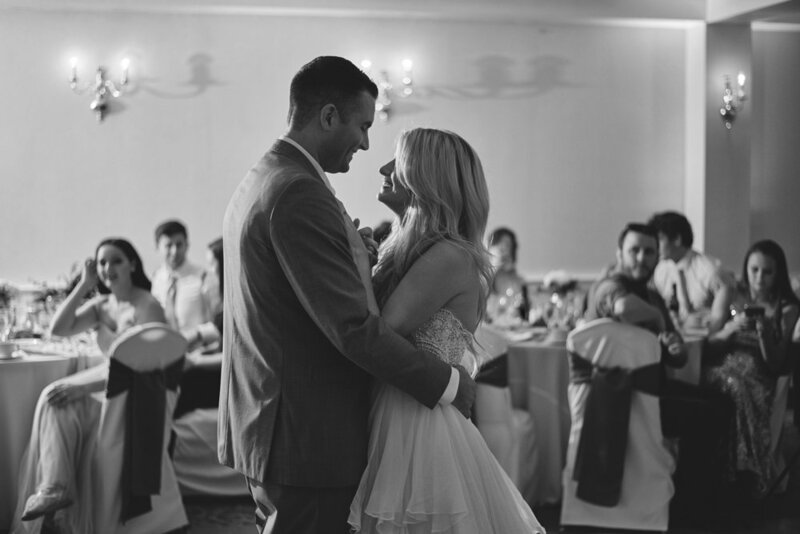 Melissa and Joseph entered their wedding reception and were greeted with cheers and smiles. 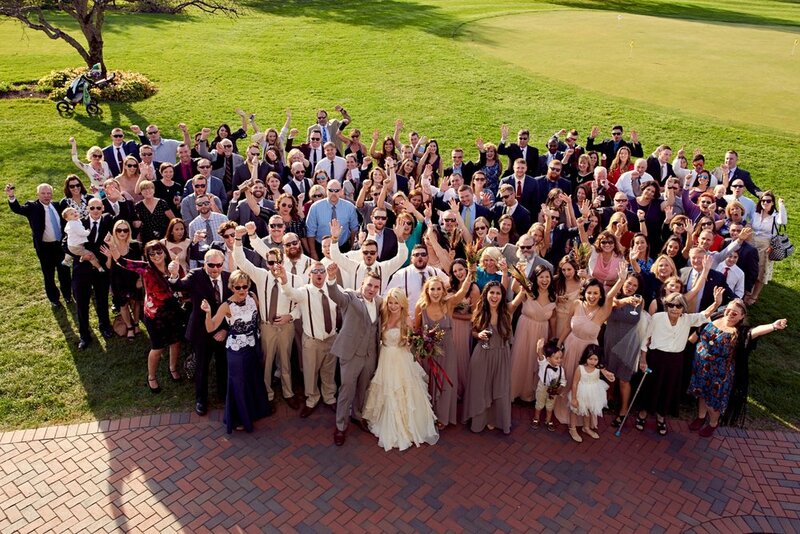 It was so clear that everyone there was so pleased to be a part of their special day. Melissa and Joseph took to the dance floor and the rest of the world seemed to fall away. 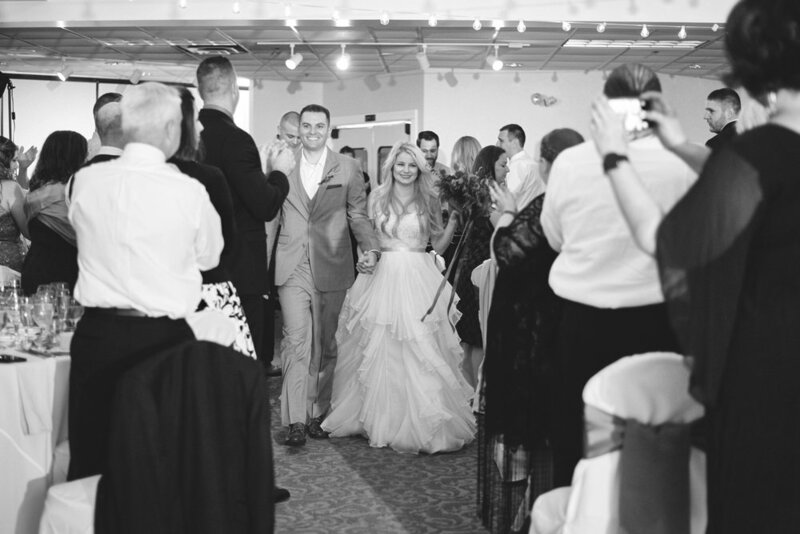 Melissa’s unique two-piece gown looked absolutely stunning as they danced together for the first time as husband and wife, it’s layers of soft fabric gently gliding over the dance floor. 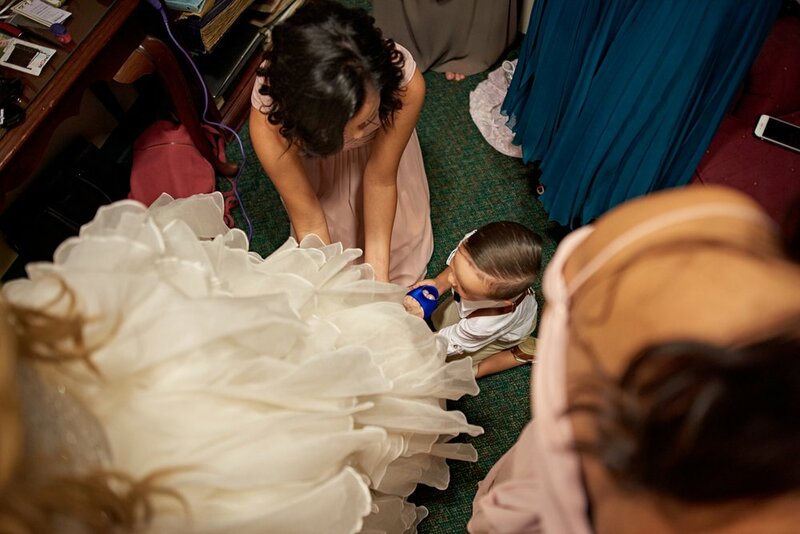 There were so many things in this wedding that were totally unique to Melissa and Joseph. 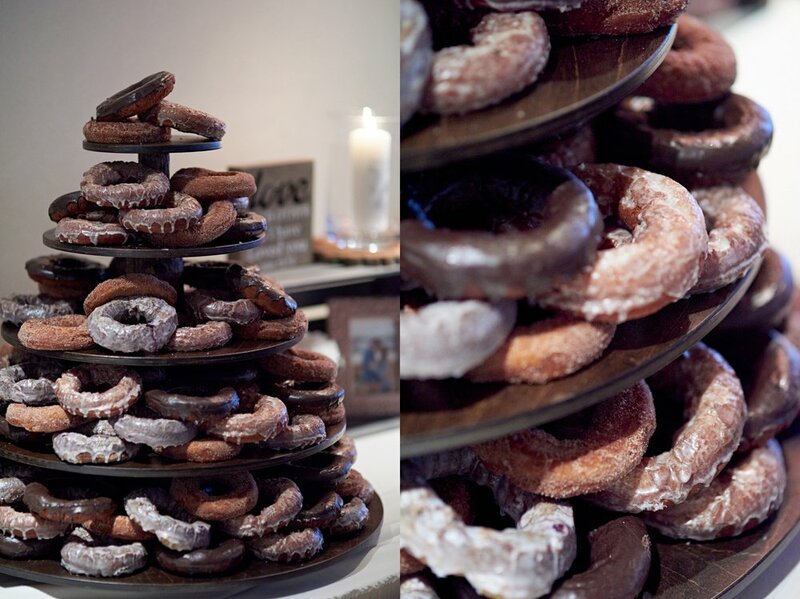 Instead of a cake, they had a tower of donuts. Guests signed a canvas with personalized messages instead of a traditional guestbook. 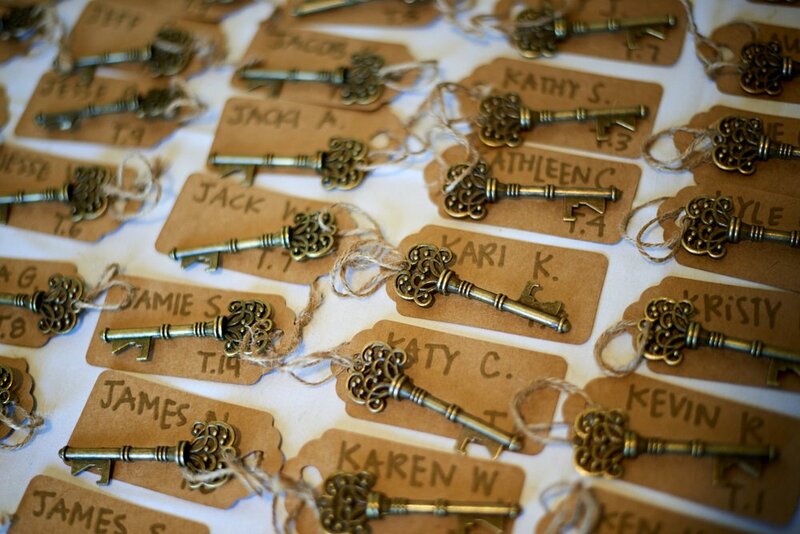 They even had a game for guests, where they used antique metal keys to find their seats at the reception. 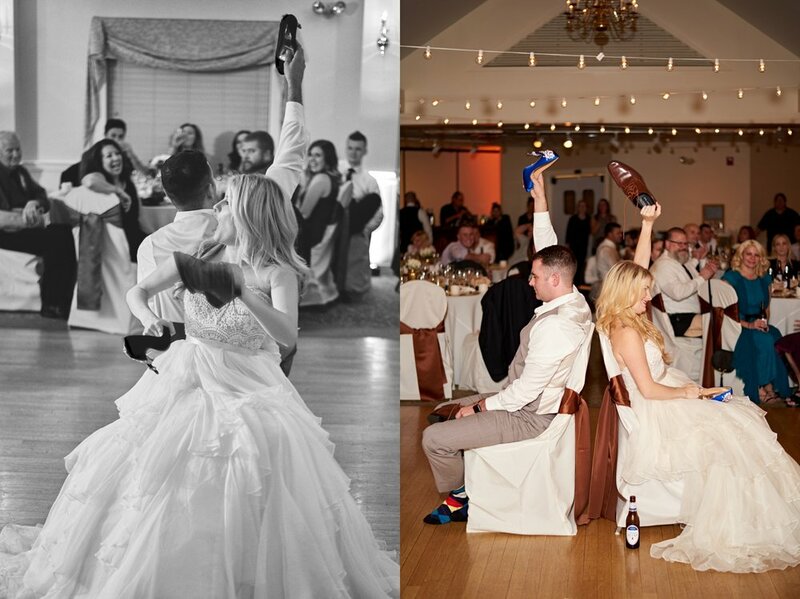 Everything brought a personal touch to the day and it made it incredibly fun for their friends and family! Melissa & Joseph, thank you for allowing me to be a part of your most special day. 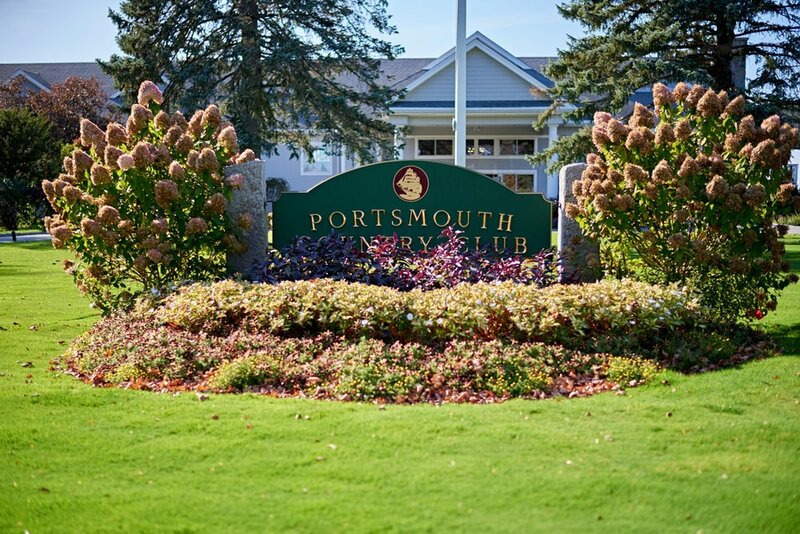 I would also like to thank the Portsmouth Country Club for being so gracious, helpful, and accommodating to my photography needs during this wedding.